Looking for something more out of your time spent on the roads of Youngstown OH? Then why don't you spend a few moments getting to know the powerful new Nissan 370Z sports cars that Boardman Nissan currently offers up for sale or lease? Whether you enjoy all of the little details found within the cabin that make your daily drives more comfortable and manageable or you simply cannot get enough of the 370Z's raw power, one thing always holds true: If you truly plan on getting the most out of your time traveling about Youngstown, then now is the time to stop by Boardman Nissan and get to know the Nissan 370Z a little bit better. 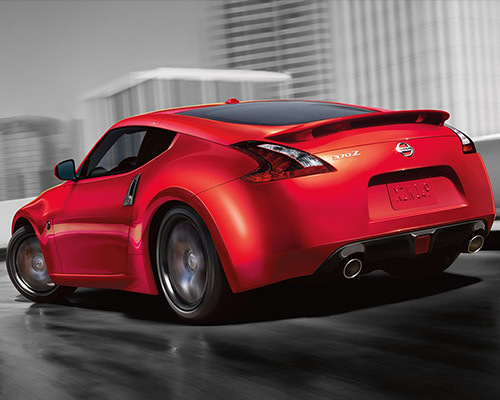 Dominating the roads of Youngstown has never been easier thanks to the power found in the Nissan 370Z. To start, this automotive powerhouse's 322-horsepower (hp) 3.7-liter (L) VQ V6 pumps out 270 pound-feet (lb.-ft.) of torque. Going a step further, you can claim access to 350 hp and 276 lb.-ft. of torque via the NISMO performance engine upgrade. Regardless of which engine you go with, you can always count on unparalleled performance and power from the Nissan 370Z. 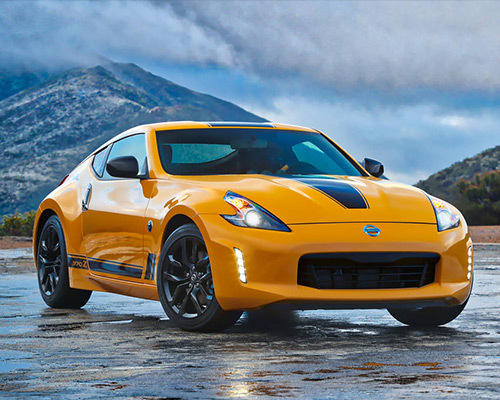 The Nissan 370Z sports cars for sale or lease here at Boardman Nissan clearly know a thing or two about equipping you with responsive control and stunning handling. However, this should not come as much of a surprise once you realize that a 370Z of your own comes loaded with tons of impressive performance features, including a lightweight double-wishbone front suspension, 14-inch (in.) front brake rotors (complete with four-piston front calipers), and high-performance Yokohama 18-in. ADVAN Sport tires. Don't you deserve to have these tools on your side when the time comes to blaze a new trail on the streets of Youngstown? If there is one thing we can all agree on, it is having your favorite playlist or album turned all the way up is the best way to enjoy your daily commute or travels around Youngstown. Nissan agrees with this premise wholeheartedly, which is why you can always upgrade to the powerful Bose Premium Audio System in your 370Z. With access to eight high-end speakers and a custom-engineered setup, this premium upgrade brings you everything you need to ensure you always have the perfect soundtrack accompanying you throughout your travels here in Youngstown and beyond its city limits. With enough power and performance to upgrade everything from your trip in to work to your next drive across the country, the Nissan 370Z Sport offers up the ultimate mix of style, comfort, and power. In fact, everything from the Viscous Limited-Slip Differential (VLSD) to SynchroRev Match and the Bose Premium Audio System ensure this concept always remains true. For the adrenaline junkies out there who demand more, isn't it time you came in to Boardman Nissan to learn about how you can get behind the wheel of a Nissan 370Z Sport? Breaking the mold is a concept that hearkens all the way back to the first installment of the Nissan Z series back in 1970. Of course, all you need to do is look at the wealth of impressive inclusions found in this roadster to see that Nissan means business. Paying homage to its past (and setting the stage for an even brighter future), the Nissan 370Z lays claim to unique graphics on the hood, roof, trunk, and side sills, along with gloss black mirrors and contrasting yellow trim on the center console, seats, door panels, shifter, and steering wheel, among other premium add-ons. 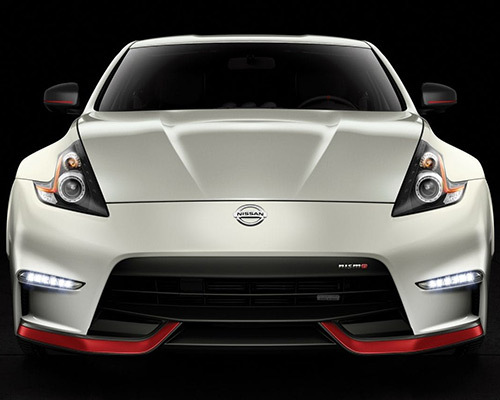 For all of the drivers out there who feel more comfortable on the racetrack than they do stuck in traffic, the Nissan 370Z NISMO is here for you. To prove this point, you need to look no further than this high-end sports car's 350-hp V6 3.7-L engine, NISMO aerodynamic body design, NISMO-tuned suspension, and even wheels forged exclusively for the NISMO by RAYS. Shouldn't you treat yourself to a vehicle that loves unleashing all of its power on the highways of Youngstown just as much as you do? Nissan understands completely you expect premium tech inclusions to be with you along every mile traveled. In fact, staying connected throughout your travels in and around Youngstown has never been easier thanks to its available built-in touchscreen, which utilizes Bluetooth hands-free calling, SiriusXM satellite radio, streaming audio directly from your favorite mobile device, and even turn-by-turn navigation. With these assets at your disposal, everything from dropping the kids off at school to charting out a trip across the country becomes a breeze. Yes, the 370Z was built with power and speed at its core, but that is not its only calling card: Storing your cargo and making room for other valuables are also key components of the 370Z ownership and leasing experience. In total, an available retractable cargo cover, hidden parcel box, and wide-opening rear hatch all work together to help you haul around golf clubs, snowboarding gear, overnight bags, and anything else you might need to bring along with you on your travels. Honing in on all of the little details is the only way to truly elevate your driving experience into exemplary territory. This concept is a driving force behind the Nissan approach, which is readily apparent in the latest 370Zs we have for sale or lease here at Boardman Nissan. All you need to do is look at the push button ignition and its ability to let you effortlessly crank the engine with just the press of a button, or the Nissan Intelligent Key system that allows you to unlock your vehicle doors and hatchback while leaving your key in your pocket or purse, to see just how serious Nissan is on this front. From here, it is obvious Nissan is not willing to compromise when it comes to your safety. When combined with all of the other info offered up in this review of the 370Z, the point being made here should come into sharp focus: When it comes to enjoying the finer things in life, as well as high-end performance and class-leading safety, the only option worth considering comes in the form of leasing or buying a Nissan 370Z from Boardman Nissan.